The life of Soul Talks Incorporated is maturing. A seed was sown and growth has occurred. Since the launch in September this year the website has continued to be refined, the long task of putting together a Policies, Procedures and Forms document has begun and the first fundraising Soiree has been held. Soiree is the name given to our fundraising activities as the word invites conversation and pleasurable togetherness. Soirees may include a keynote presenter, music, a film or even a retreat. Each branch of Soul Talks is encouraged to raise funds for their own activities and also to contribute to the running of Head Office. The intention of creating a Handbook for branches is to provide a safe platform for their operations. The Board is encouraged by the success of the Adelaide North branch and the offer to begin an Adelaide Hills branch in March, 2019. To be a coordinator of a branch is to have a commitment to leadership and inclusiveness. Next year Adelaide CBD Free Forums will be held at the Theosophical Society’s downstairs room, 310, South Terrace. William Meader’s program The Seven Rays - an adventure is self-discovery on Thursday, February 27th will also be held at this venue as the Freemason’s Hall is not available. Other diary dates are Sunday January 20th for a Free Forum and Thursday 26th January for our first Soiree of the year. 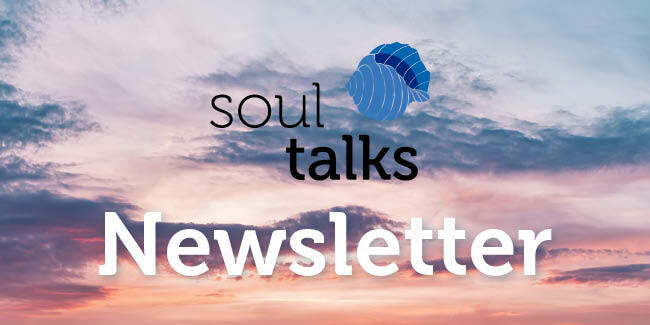 Check our website soultalks.com.au for details and bookings. Your support for these programs is appreciated! We know that the soul never dies and this is our main message as the presenters at our Free Monthly Forums share their professional lives in a way that respects the insights and creativity of others while acknowledging that people are at different points in the quest for awareness and meaning. The Board would to thank all the presenters who have contributed to the growth of Soul Talks. There are too many to name here. Desak is an author and samsara coach. She was born in Bali and provides a service for women that allows them to rebuild their lives after traumatic events. Karen is a transpersonal life and spiritual business coach. She shares the themes of the book she is writing, The Process of ‘Waking up’ and what this actually means in the context of the higher hero’s journey through the star signs. Jonathan is an energy therapist, teacher, wellbeing consultant and Lifeline counsellor. His business is LifeSpirit Enterprises. His twenty years of training in the therapeutic use of energy followed twenty-five years of corporate life. Anne is a qualified mindfulness practitioner and Hatha Yoga teacher. She founded Oasis Mindfulness to help people find freedom from stress and anxiety and to live fife more fully. Anne’s background is in the corporate world. She is a Director of Soul Talks Inc.
Tina Shettigara is sharing ancient wisdom teachings that she teaches through the practice of iRest Yoga Nidra. She is a certified teacher of iRest working as a yoga and meditation teach and Director of Yoga Spirit Studios. Joy is the author of three books; As Good As Goodbyes Get – a window into Death and Dying, My Way – One Nurse’s Passion for End of Life and Parting the Veil – Reflections on Soul. For three decades she was an integrative private palliative care nurse. She is the founder of Soul Talks Inc. and a Director. Stephanie is a teacher of English as well as a Life Alignment practitioner. Life Alignment is a cutting edge healing modality that is transforming lives all over the world by clearing and balancing energies that play a part in the wellbeing of the body,, the heart and the mind. Carol is a physiotherapist, energy practitioner and wellness educator. Having negotiated a long journey back to health after chronic fatigue Carol shares what contributes to her successful recovery. She is a Reiki Master/Teacher and is gifted to give Oneness Blessings. Elizabeth is a trans-formational coach, author, mentor and group facilitator. For the past three plus decades Elizabeth has been assisting her clients to create greater focus, success and fulfilment in their lives. She has a deep and ever growing passion for ‘living on purpose’. 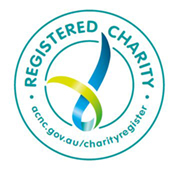 Mandy has a Law Degree, a Masters Degree in Public Policy and Management, Post Graduate Diplomas in Community Welfare, Counselling, Psychotherapy, Life Coaching and Hypnosis. She is the founder of Thrive Living in Adelaide and is passionate about facilitating personal growth. Tori is a neuro physiotherapist and intuitive healer. She has a Masters degree in Physiotherapy and has studied Psychosynthesis – a mode of transpersonal counselling. Her clients have experienced the benefits of releasing negative beliefs and healing present and past life trauma. Carrie Faggotter is the founder of Manifestation Divine. She has been teaching others how to optimise their lives through creating vision boards since 2012. In the process of pasting cut out images and words onto cardboard a collage results. Reflecting on the choice of images takes on meaning as well as evoking the law of attraction. Diane has a background in Fitness, Bowen Therapy and faster EFT. She practises from the Health and Wellness Corner, 29 Jetty Rd, Brighton where she uses her life changing skills to promote confidence in all areas of a person’s life – both personal and professional. This is an opportunity to hear a little about Di’s life as a Medium and as a Psychic. Di shares how the Universe had a different plan for her life than she did. She also did spiritual readings for some of those present. Michelle Mitchell’s search for meaning led her to learn Transcendental and Vipassana Meditation. She has completed courses with Anthony Robbins Deepak Chopra, Wayne Dyer & others. She has coached people in own “Design Your Life” Workshops for over a decade and in three countries. Margaret has been working with the Feldenkrais Method for over thirty years. Learning by directing attention and intention gives rise to a never-ending curiosity about what it is to be human. Through sensing, feeling, thinking and moving we can expand our self-image. Lyn is the author of Coming Down from the Mountain which describes how her life changed during a retreat in Assisi, Italy. Her formal religious life has given way to Reiki. As well as being a Reiki practitioner Lyn has completed studies in theology, counselling and spiritual direction.